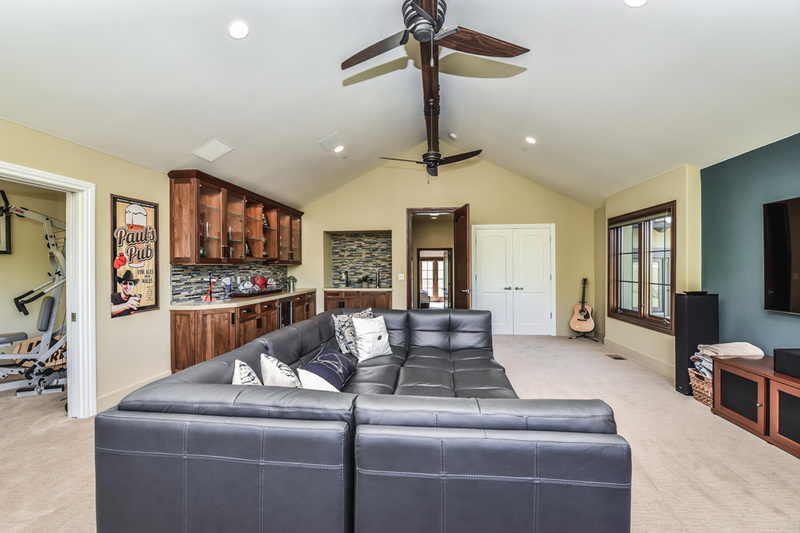 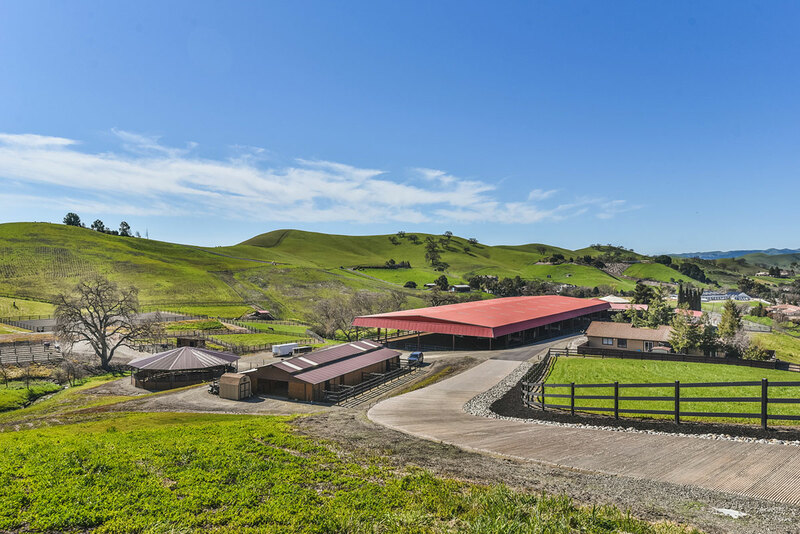 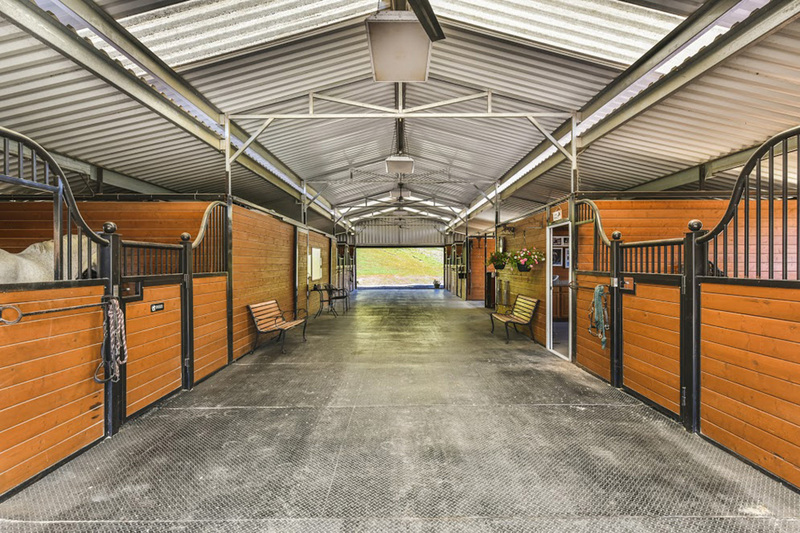 This masterfully designed custom equestrian facility, formally known as Denville Kanani, awaits! 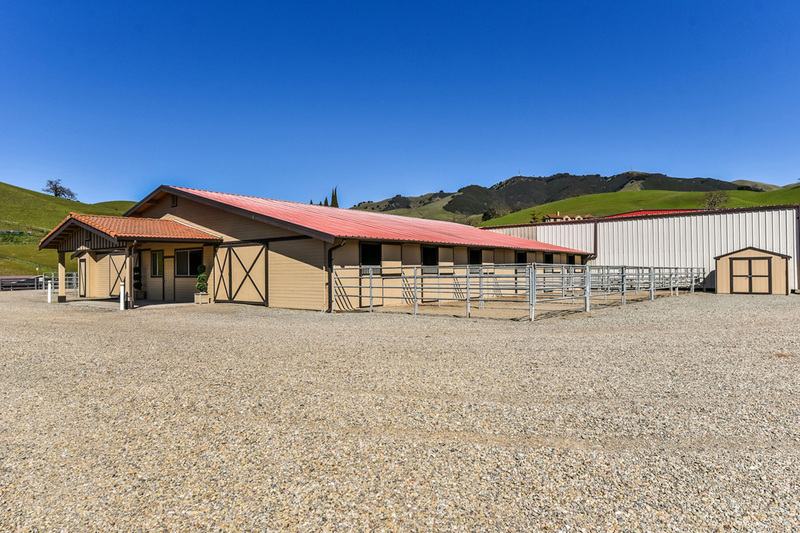 It was built with thought and the utmost attention to detail, offering the perfect opportunity for personal or professional ventures. 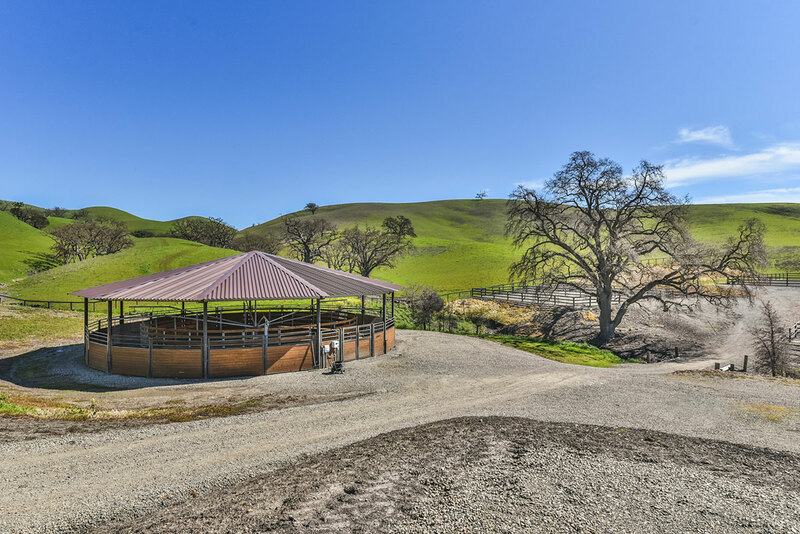 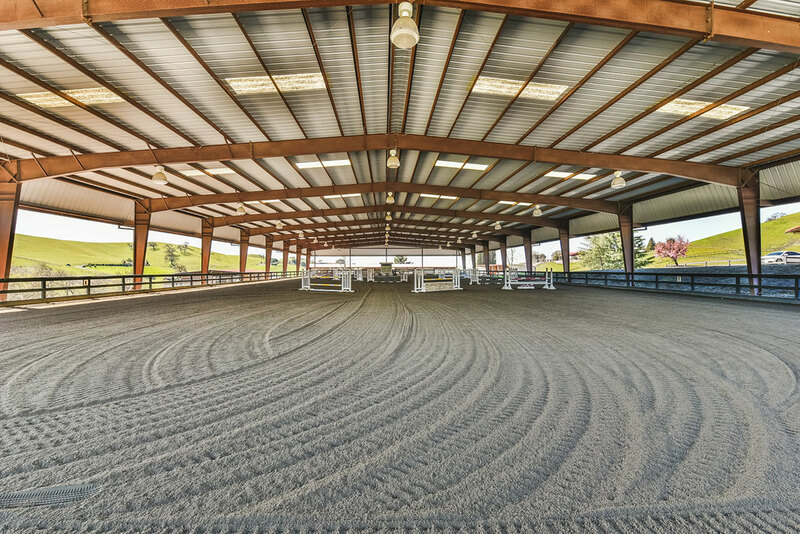 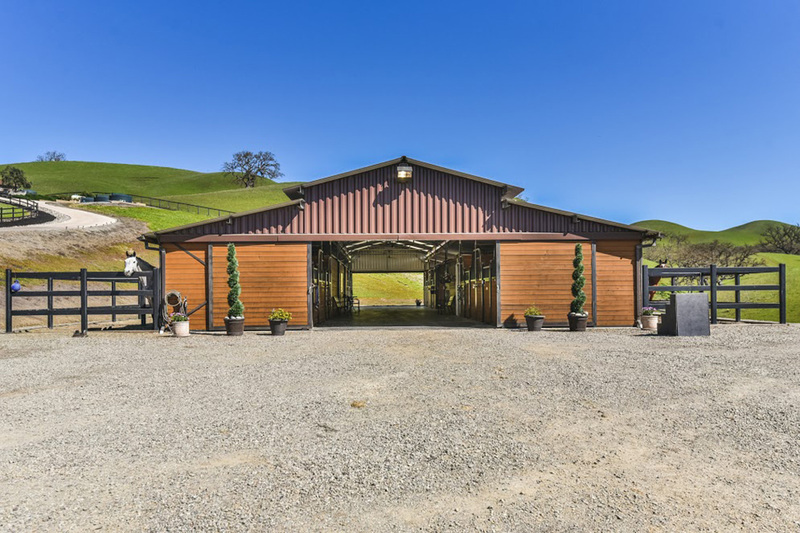 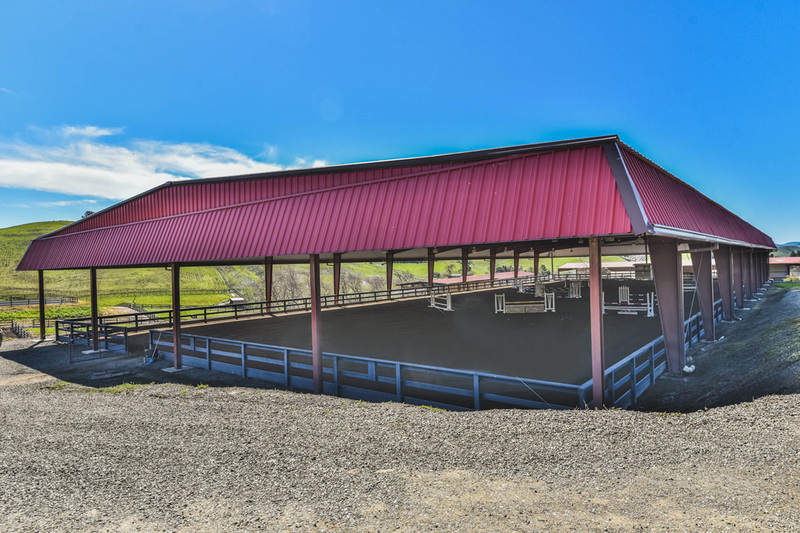 An exceptional state-of-the-art facility; the property offers year round riding with two lighted indoor arenas, two all-weather footing outdoor arenas, covered round pen, six horse- eight speed, digitally programmable covered eurociser, and expansive stabling for 53+ horses. 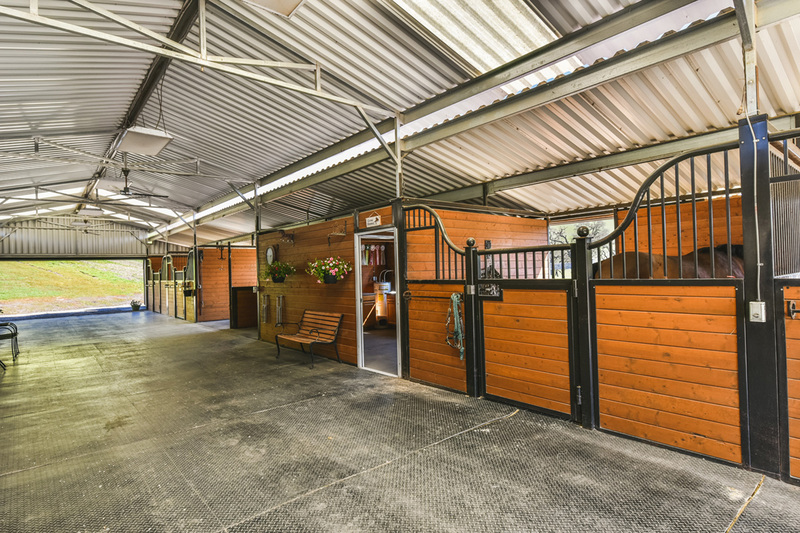 Four well appointed barns boast rubber matted stalls, attached all-weather paddocks, automatic fly spray and waterers, hot/cold water wash-racks, several grooming areas, and tack rooms. 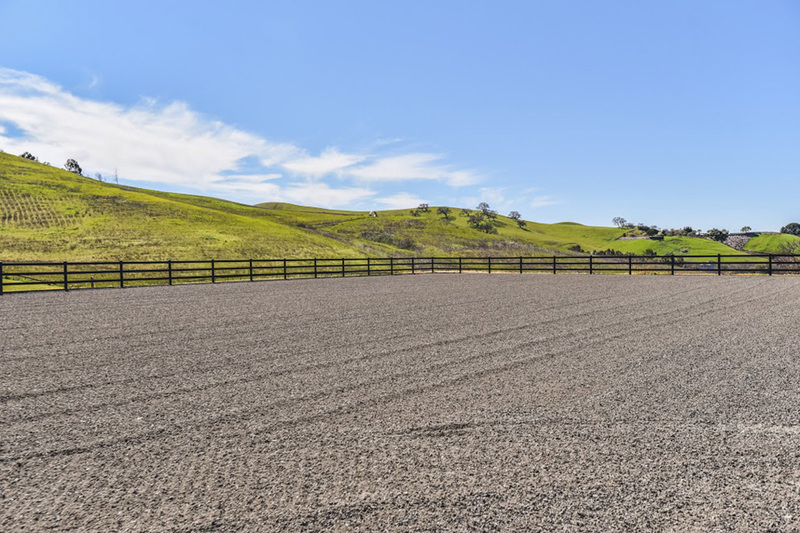 Horses can stretch their legs in one of seven all-weather sand turnouts, five large grass pastures, and a gallop/conditioning path. 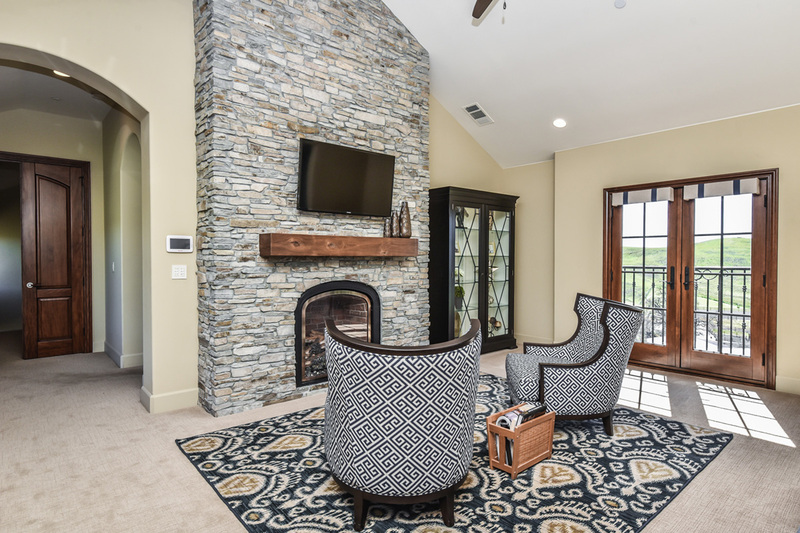 A centrally located duplex provides convenient housing for an on-site manager, or guests. 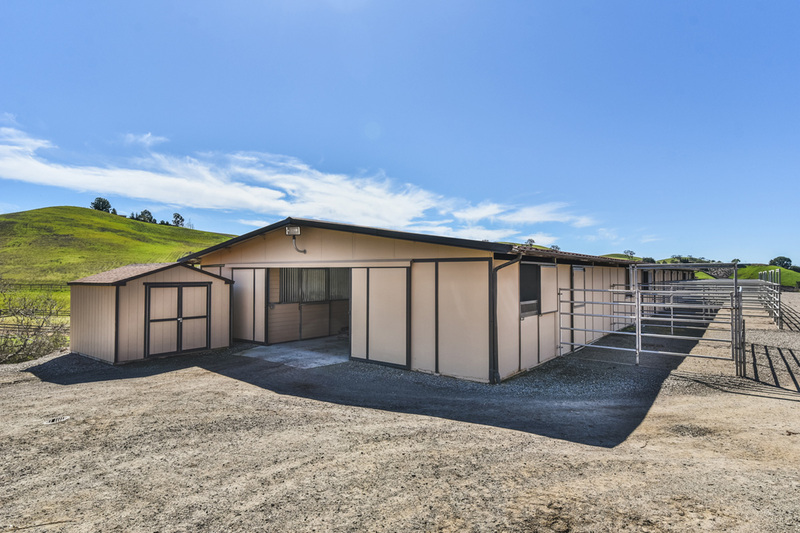 Each unit is approx. 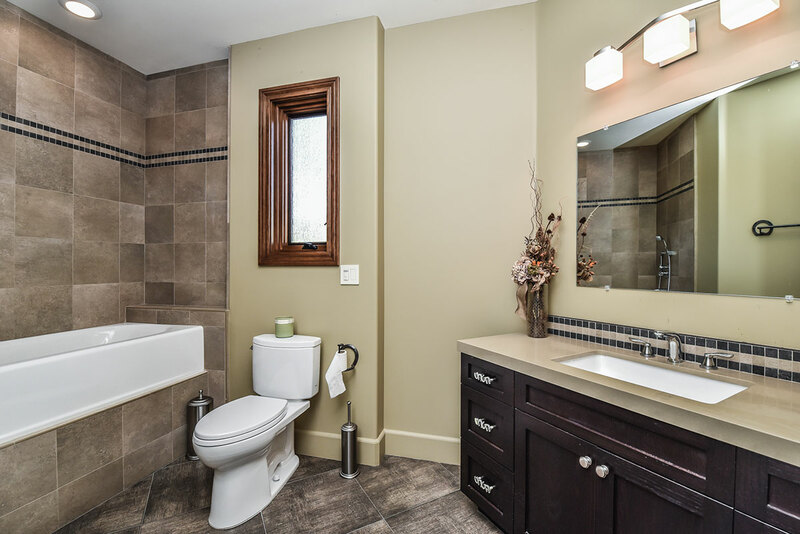 1200SQFT and is meticulously maintained and updated throughout. 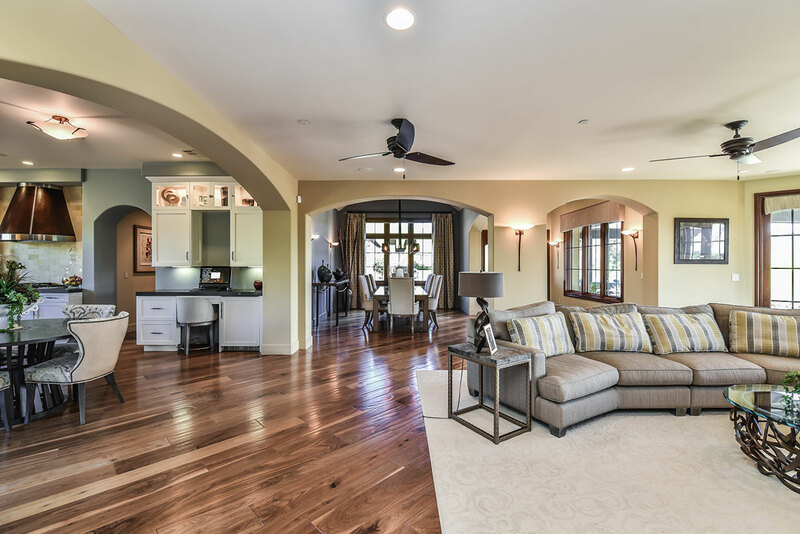 Completed in 2012, the sophisticated main home is on par with the best in the area, boasting approx. 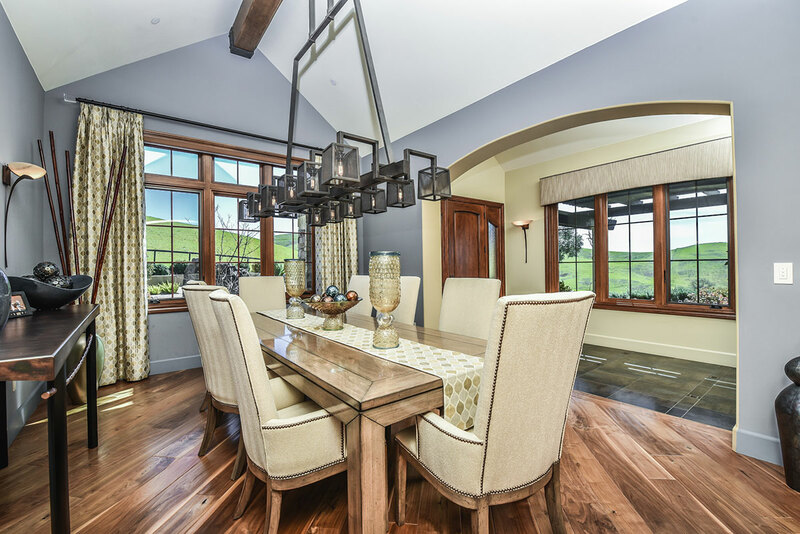 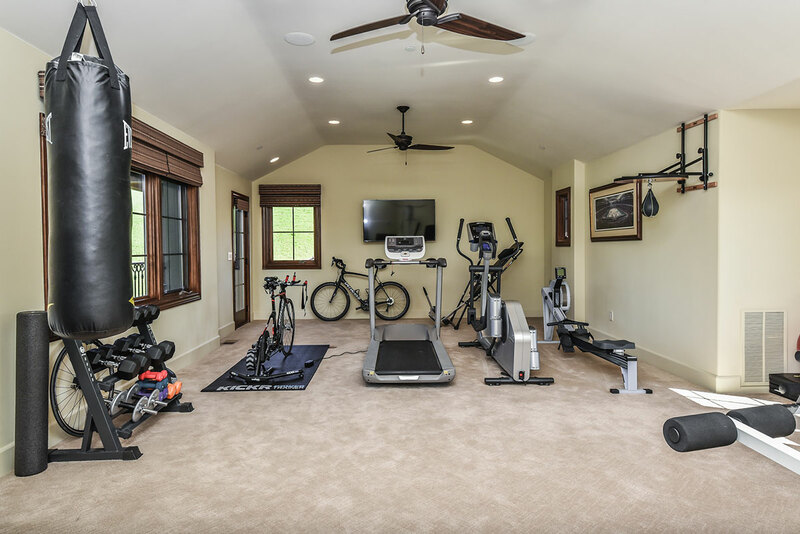 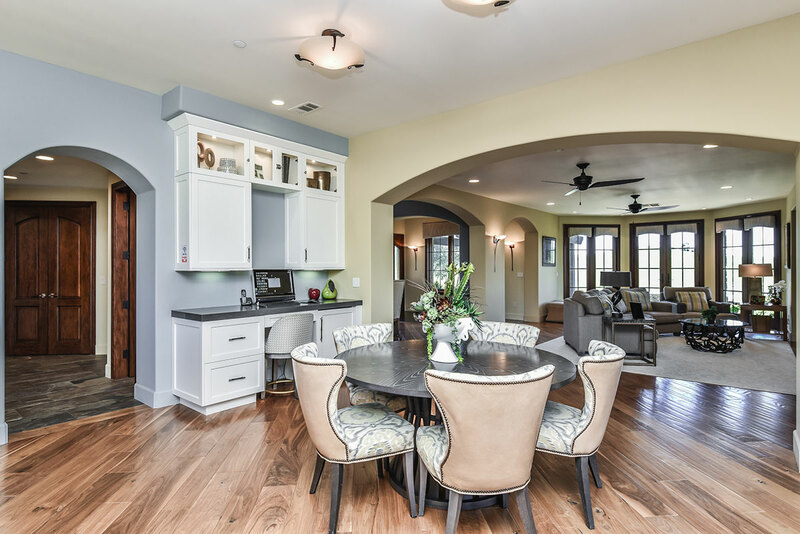 6500sqft, a gourmet chef’s kitchen that opens to a warm and inviting family room, and dining room, five generously sized bedrooms, five full bathrooms and two half baths, an office, exercise room, media room, two laundry rooms, and an oversized mud room! 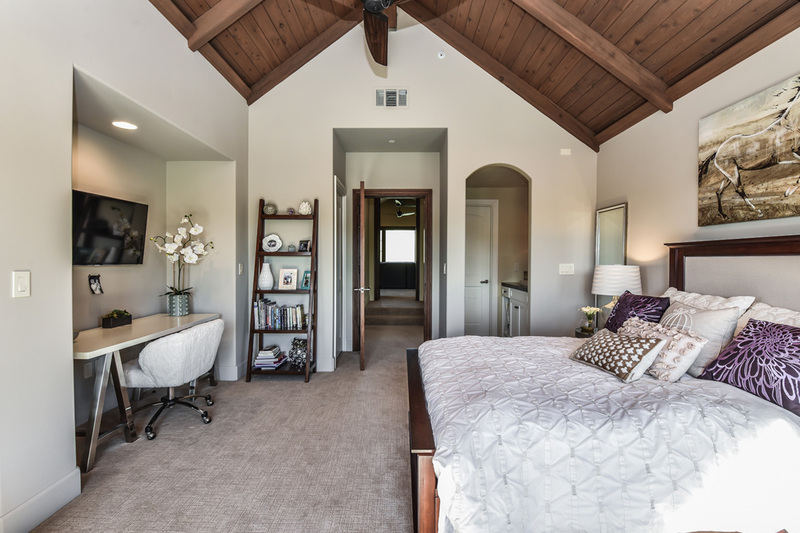 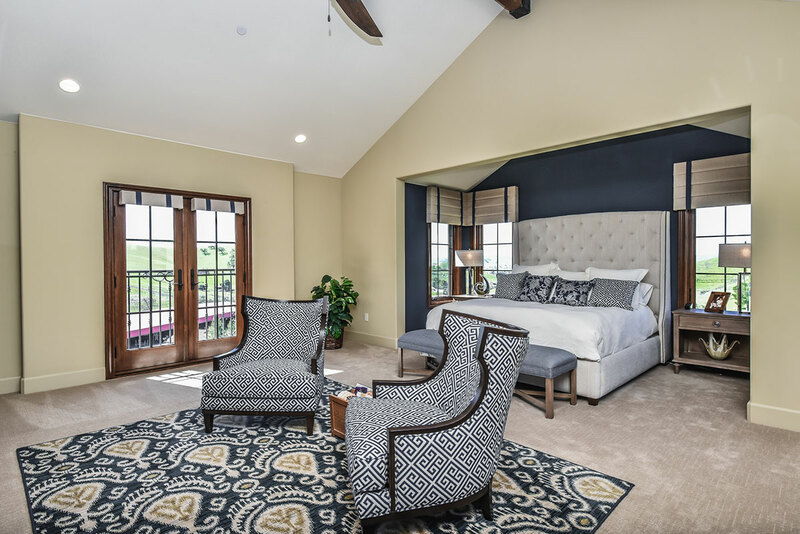 The master retreat is truly relaxing, with spa-like bathroom, two walk-in closets, and captivating views. 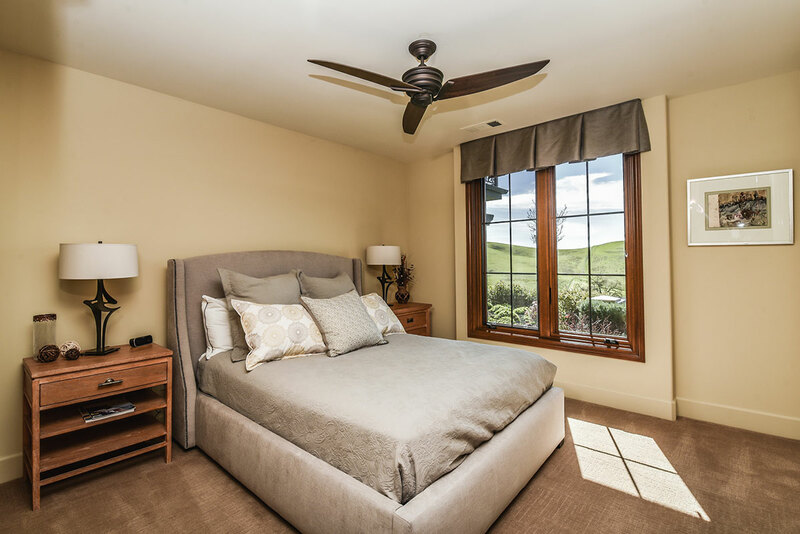 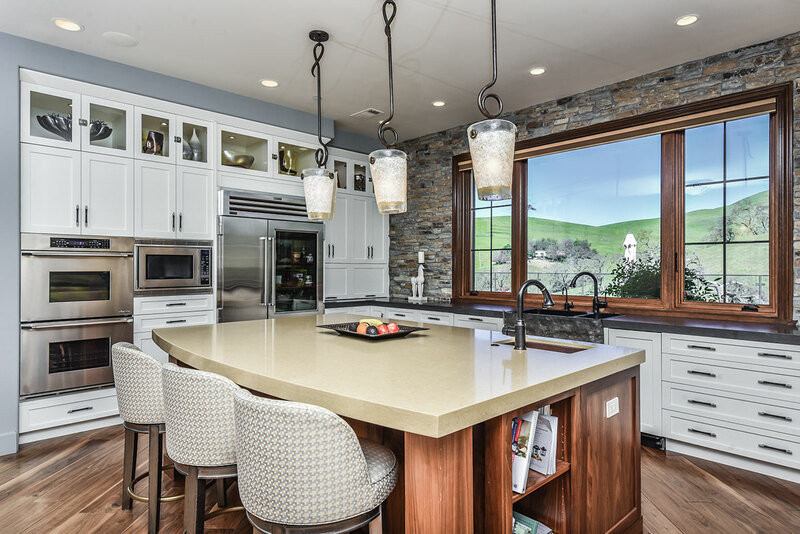 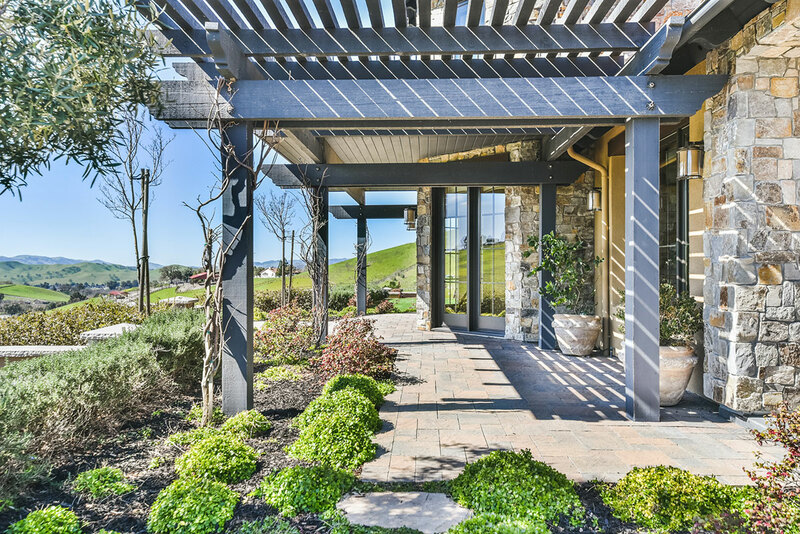 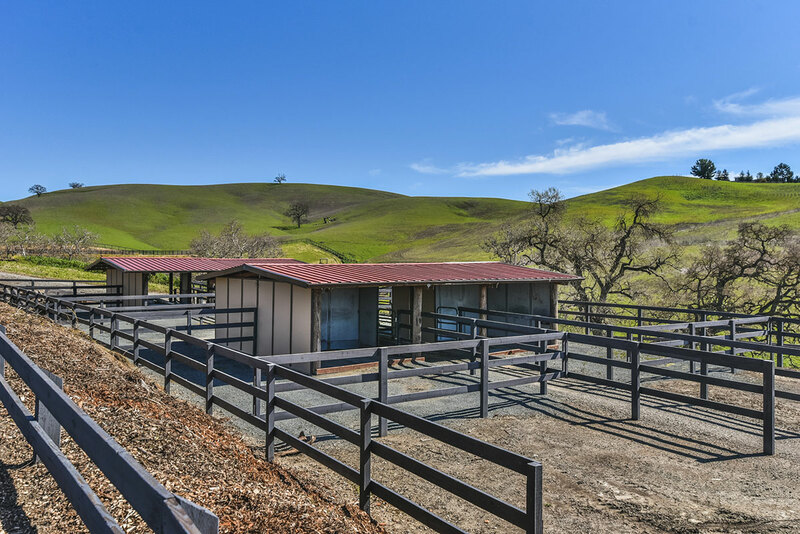 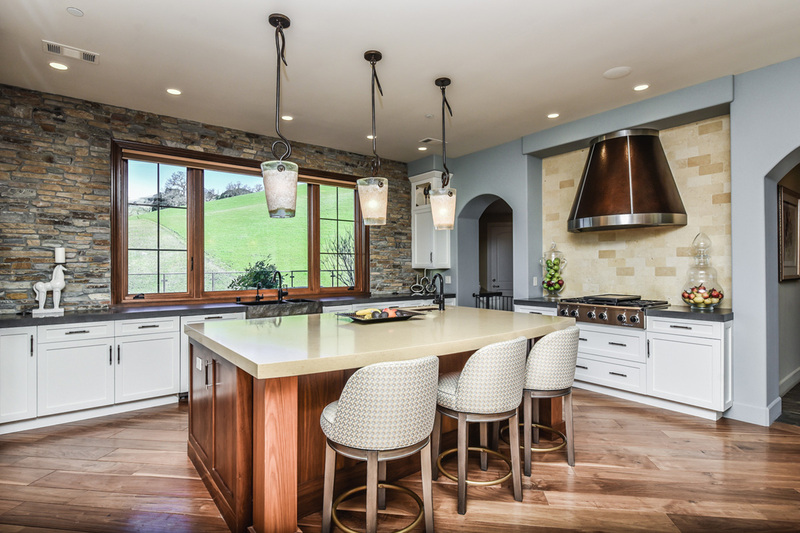 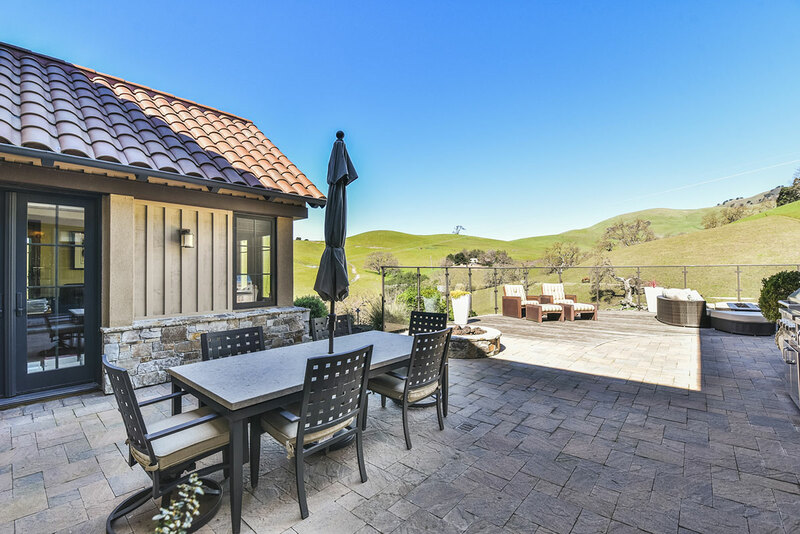 The abundant windows and doors bring the outdoors, in, and capture the sweeping views of the pastures and rolling hills. 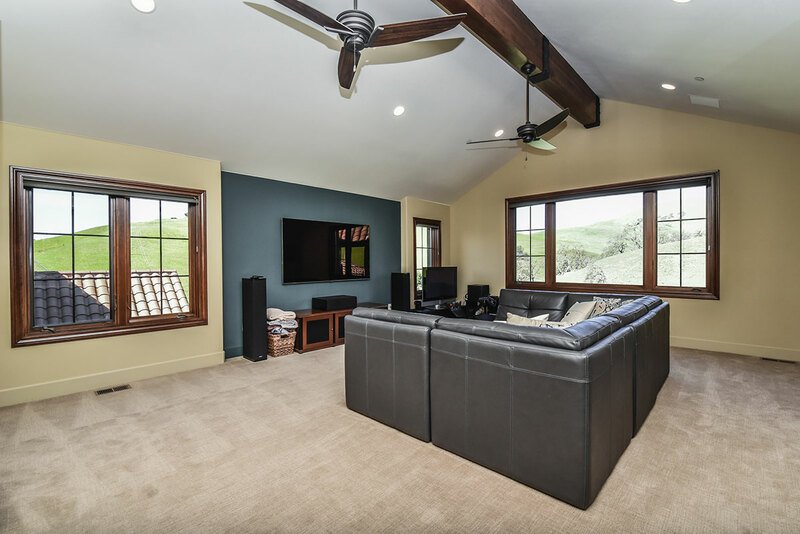 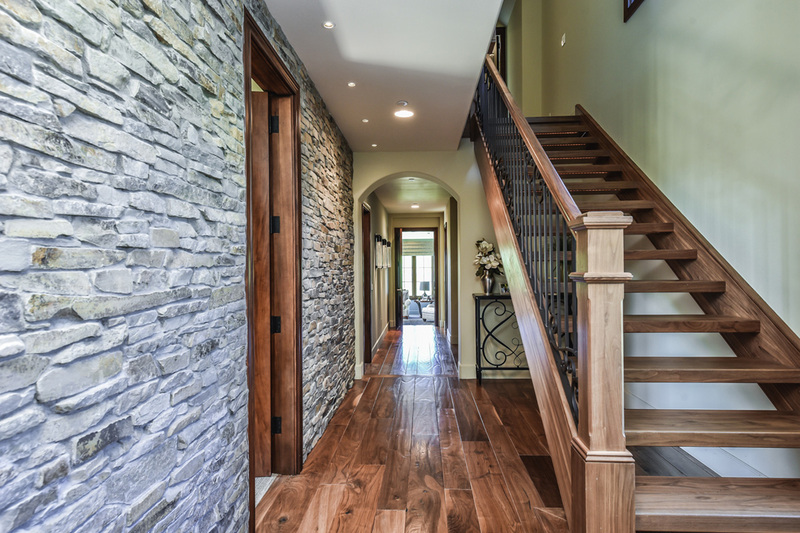 The ‘Control 4’ smart home system flawlessly integrates the homes many high tech features, such as climate control, audio/video, window coverings, lighting, security, and more! 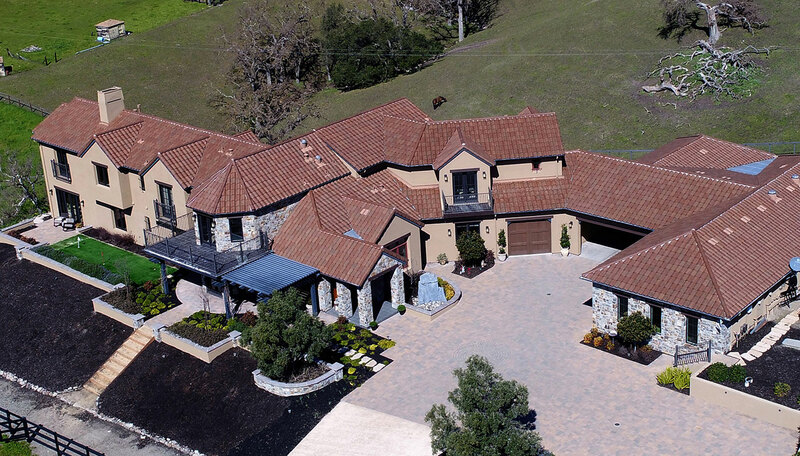 A dreamy nine car garage and extensive exterior parking, is sure to impress the most discerning of car enthusiasts! 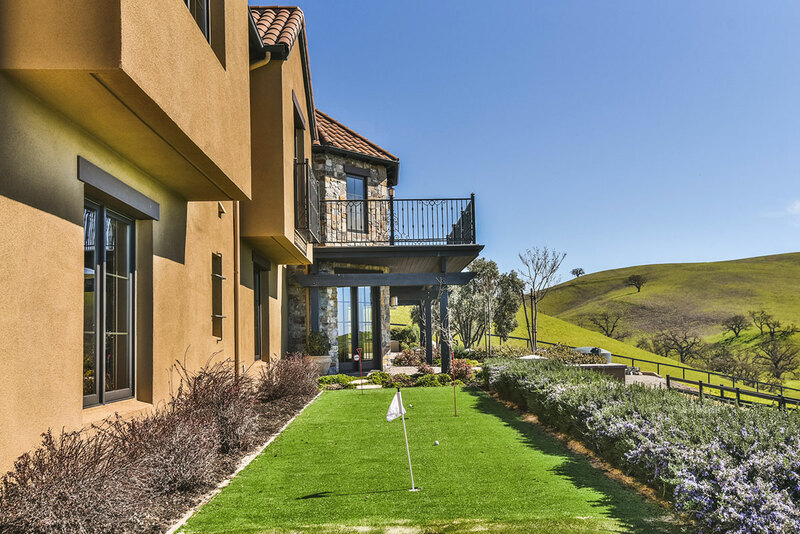 The outdoor living spaces offer generous patios, decking, pitch + putt golf area, hot tub with outdoor tv, and lush landscaping! 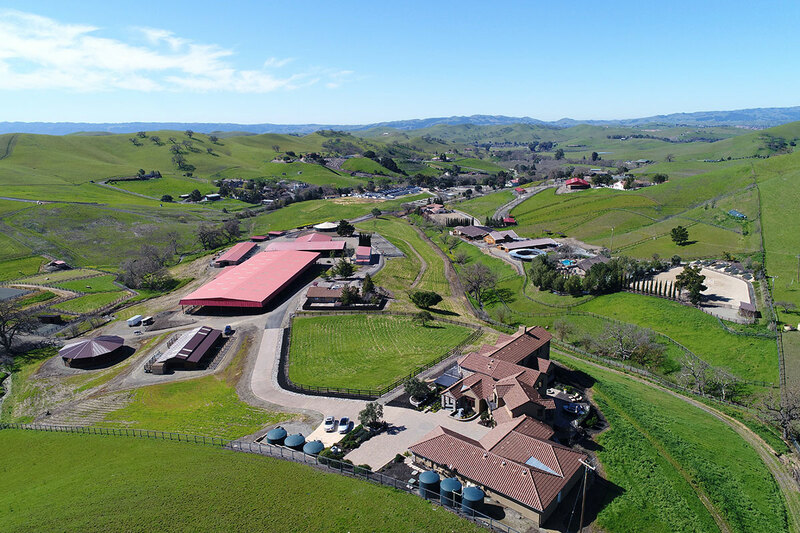 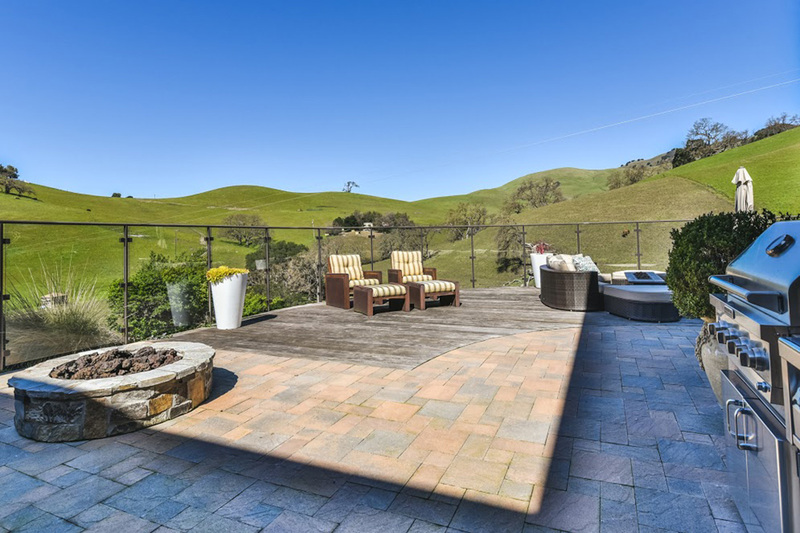 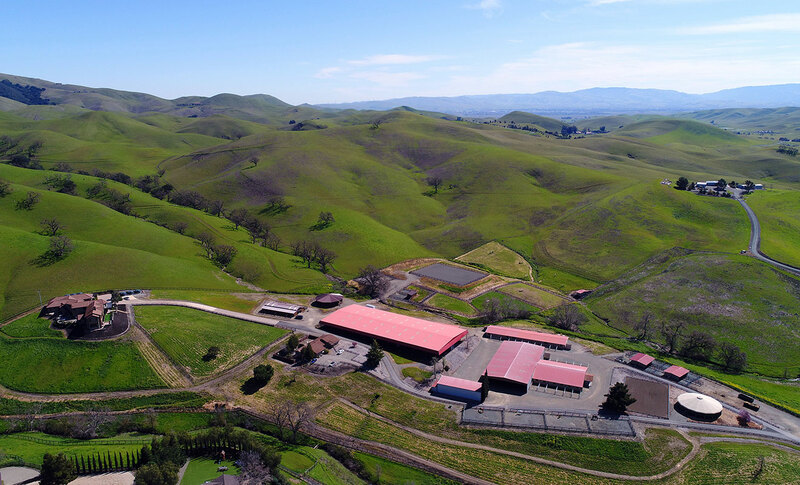 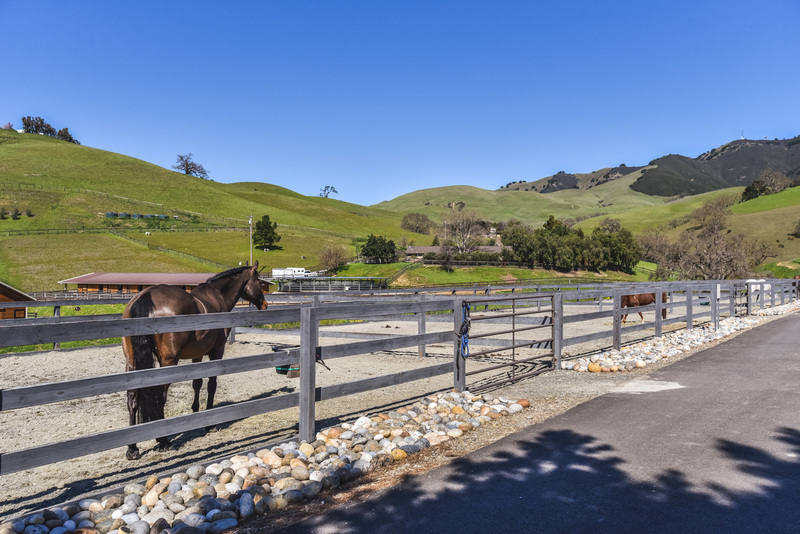 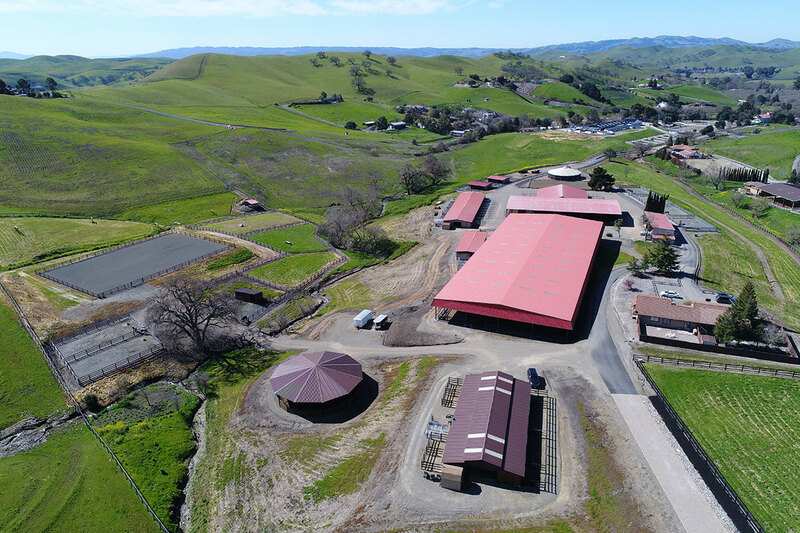 * Located in Contra Costa County, this property is subject to the Williamson Act: A CA law that provides relief of property tax to owners of farmland and open-space, in exchange for a ten-year agreement that the land will not be developed or converted for other use. 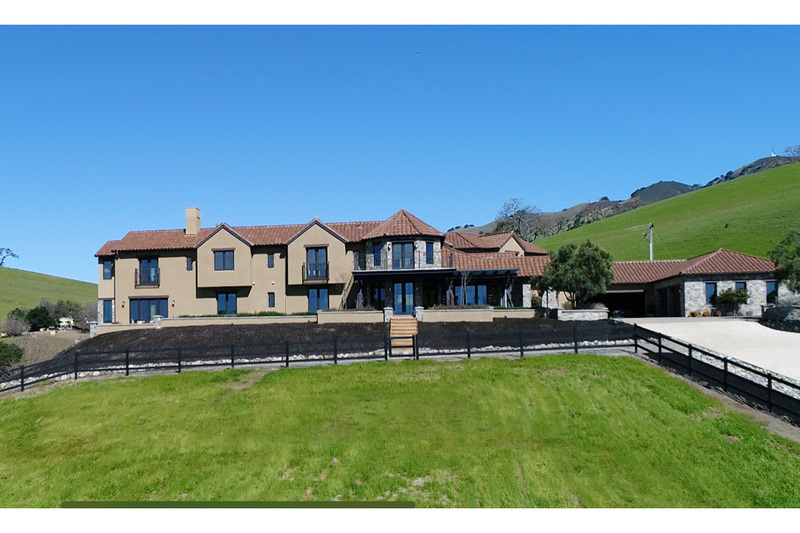 This means the property tax base is very low. 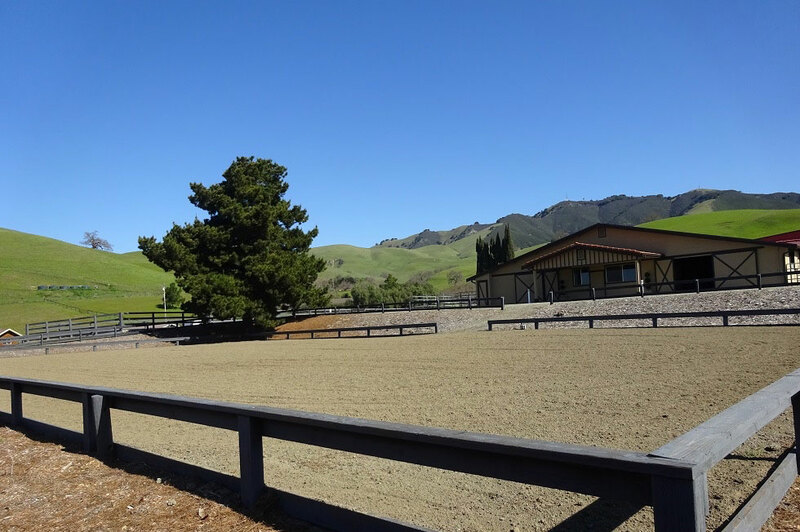 ** Possibilility to lease 5 acre riding field down the road with cross country fences and conditioning track! 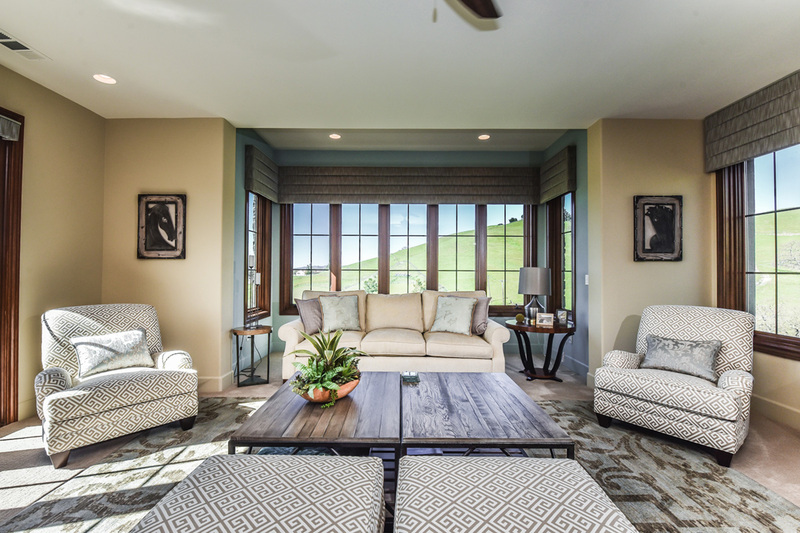 Breath taking setting and spectacular views from every room! 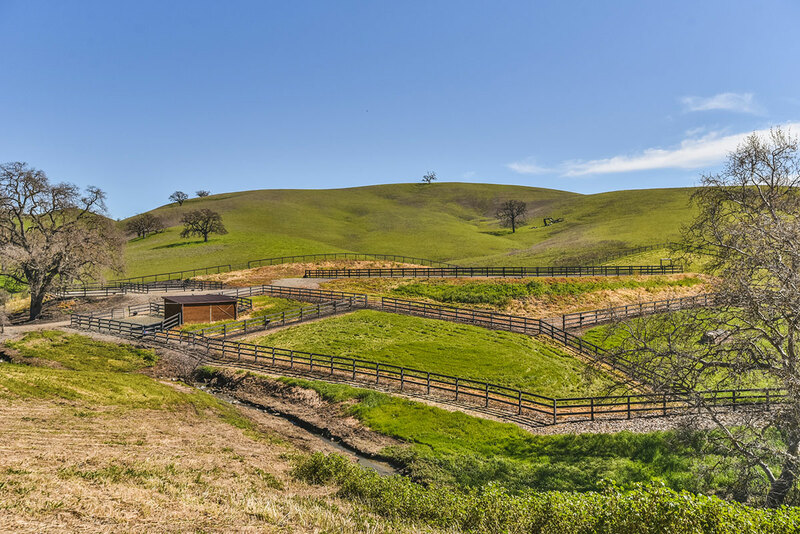 Gallop Track- path that runs around pastures and property line, great for conditioning!